Create a beautiful woven cross! 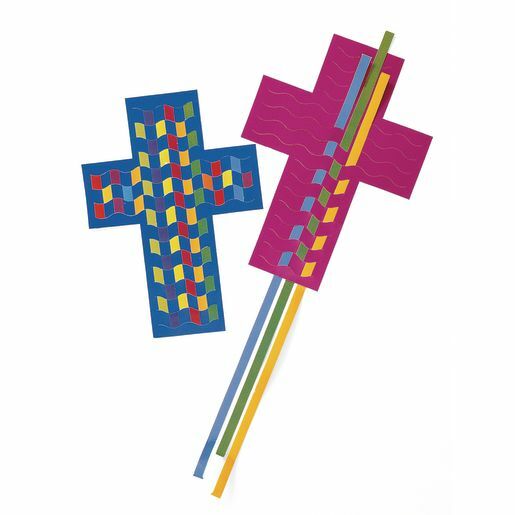 Kit includes 24 paper crosses and colorful paper strips to weave into each cross. Crosses measure 7" x 9 1/2". Idea guide included.